Prime Minister Trudeau has tasked Michael Wernick, the Clerk of the Privy Council, with making sure the ailing Phoenix payment system is fixed. I feel sorry for this beleaguered federal bureaucrat who has been handed a grenade with the pin removed. Please find my assessment of the Phoenix payment system project below. Thanks to technical glitches and a general lack of preparation, more than 80,000 of the 300,000 public servants that work for the federal government have been underpaid, according to deputy Public Services and Procurement Minister, Marie Lemay. The vast majority of those shortfall cases are related to supplementary pay, including overtime work. As of last Wednesday, 720 public servants, mostly new employees and students, hadn’t seen a single cent since Phoenix went live in February 2016. Officials now say that all backlog files will be processed by October 31, 2016. I fervently hope they are correct but the amount of remaining work is daunting. Prime Minister: Just smile and don’t say anything when you are quizzed about this new completion date. It might be tempting to blame the previous Conservative government that commissioned the new system as a cost-saving measure in 2009. Unfortunately, the reality is the Liberal government pushed ahead with the roll out while ignoring the pleadings of the Public Service Alliance of Canada (PSAC) in April 2016. PSAC wanted to delay the second phase of the rollout because thousands of its members had already been shafted on payments from Phoenix. As you can imagine, PSAC remains very vocal about Phoenix. I will leave it to you, Mr. Trudeau, to determine how you want to spin this reality in your public statements. The contract to develop and operate the Phoenix payment system was awarded to IBM in 2011 after a lengthy RFP process that was only slightly shorter than the first F-35 jet fighter procurement process. At that time, Public Services and Procurement was impressed by IBM’s repeated assertion that its payroll software package could handle the complexities of paying federal government employees. As you undoubtedly know, their pay, benefit plans and pension contributions are governed by a myriad of union agreements made by the federal government with PSAC. Beginning in early 2012 and continuing to today, IBM has not been shy about initiating many change orders to handle complexities that were not referenced in the original requirements documents issued by the federal government as part of the RFP process. The approved change orders have added millions in cost to the project and created delays as the project team worked hard to test all the added functionality. This is a good news/bad news chapter in the overall Phoenix story that you can communicate, Mr. Prime Minister, as an effective partnership between a valued vendor and the federal government. During the course of the software development work, various issues came to light that suggested existing union contracts were being interpreted differently by payroll advisors in various regions of Canada. The project team also discovered that some of the contract terms are not as clear as was once thought. Reconciling these differences in a manner that will satisfy both the government and PSAC will be a long-running task that will continue well after your press conference in which you will declare Phoenix a success. This task is likely to still be active during your second term. As the historical pay, benefit plan, and pension contribution data from the old system was being converted to Phoenix, a myriad of errors were discovered. While these have been largely cleared up, the clean-up added cost and schedule delay to the project. Further, the data corrections are likely to trigger public servants to file hundreds of grievances under existing contracts. It appears that some public servants have come to believe their excess pay was due to them and that their pension entitlement is larger than their contract stipulates. Mr. Trudeau: I recommend you not acknowledge the existence of this problem. 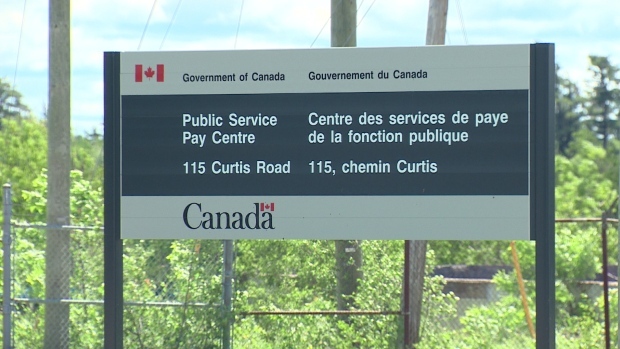 Officials at Public Services are blaming the ongoing problems on the steep learning curve that payroll advisors are required to climb to learn the new Phoenix system before it launched in February 2016. That learning effort created a backlog of case files even before the Phoenix pay system came online. Supporting payroll advisors with change management and performing this old system work is part of the goal that all backlog files will be processed by October 31, 2016. Please view this date as fluid despite the public announcement. Under the old system, 2,400 payroll advisers were spread out across the country. They managed compensation, benefits and pension plan information for their assigned federal government department. Under the new Phoenix payment system, the single Miramichi, NB centre is to be more efficient. 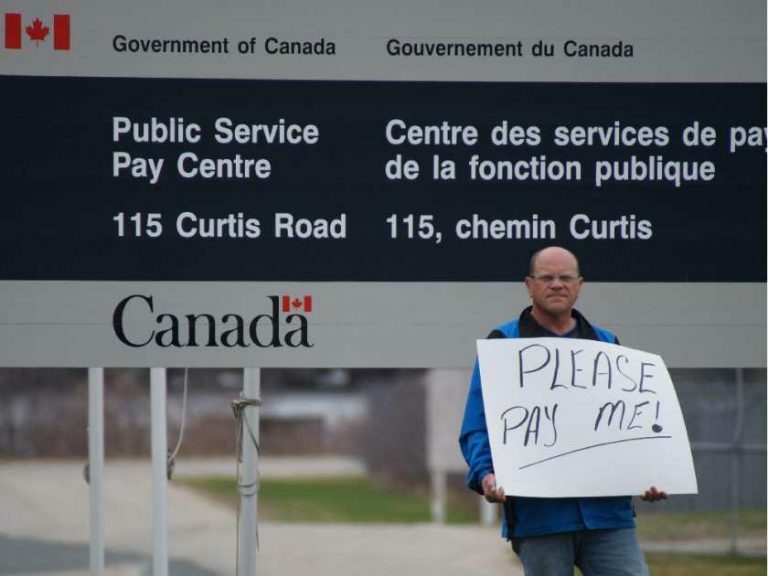 Only 550 payroll advisers were hired to direct payment for the entire federal public service. Just think of the savings! The Conservatives did: they expected to save $70 million annually by 2016. To clean up the current mess, Public Services and Procurement has left all existing 2,400 payroll advisers in place and established a temporary pay centre in Gatineau, QC with 115 payroll advisers. Similar centres will open in Winnipeg, MB, Montreal, QC, and Shawinigan, QC in August 2016. Once the additional implementation costs, whose full extent remains unclear, have been paid for, some of the initially contemplated savings may emerge. Prime Minister: It’s in your best interest not to make any commitments to anyone about future cost savings. Unbeknownst to us, Miramichi, NB is located beyond the edge of the known world as defined by the Internet backbone. As a result we have discovered that remotely located payroll advisers, which are rapidly increasing in number as described above, cannot effectively access the Phoenix system. We have contracted Bell Aliant Inc., on an emergency basis, to extend the fiber-optic cable of the Internet backbone to Miramichi, NB. Please expect a large overtime bill and complaints from Miramichi, NB residents as we dig a trench along Highway 8 near the city. If asked about this work, please emphasize how the federal government is working hard to ensure Internet access for all Canadians. As data for more and more public servants was loaded into the Phoenix databases, the payroll advisers complained more and more about sluggish performance of the system. The investigation of this problem revealed that the system architects at Public Services and Procurement had significantly under-estimated data volumes and the number of concurrent end-users for the contemplated system. While IBM supplied the computing infrastructure specified in the RFP, a major upgrade of the servers and server network will now be required. I will let you know, Mr. Prime Minister, when I receive the quotation from IBM. Please be prepared for a multi-million dollar amount. Many federal managers had unneeded access to employees’ personal information. CBC reported this month that a defect in Phoenix made personnel records for all 300,000 federal employees in the system accessible to 70,000 of them. Those records include social insurance numbers. Senior officials reportedly learned of the flaw in January 2016, a month before the system launched, but didn’t intervene. “It’s another demonstration of how much of a boondoggle this whole Phoenix system really has become now,” PSAC vice-president Chris Aylward told CBC. If asked about this potential data breach, please emphasize that there was a risk of a data breach and that the federal government is actively reviewing how to reduce the risk of data breaches.